Before my sabbatical even began I learned that there is a picture book art museum in Massachusetts. I soon realized ... The Carle isn’t just A picture book museum; it is THE picture book museum. (At least, the only one in United States. Turns out there are quite a few in Japan; see list below!) Then I discovered that The Very Hungry Caterpillar (aka, the VHC) was turning 50 in September and I decided - oh yes. I am going. 50th anniversary edition - signed by Eric Carle! It felt like the kind of place that I’d want to visit with my kids so Sergio and I decided we’d make a family vacation out of it. We could only manage a 5-day trip due to scheduling conflicts on both ends. So we picked our dates. And slowly but surely - like the tupperware that you quickly realize is probably too small for your leftovers - our trip schedule filled to the brim. 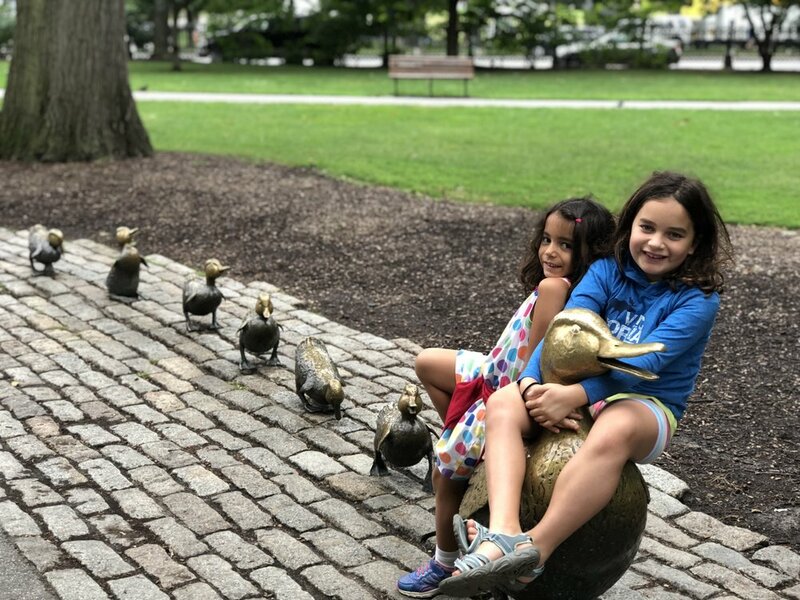 There was no way we could do this trip without: time in Boston (Make Way for Ducklings statue! ), time with Cambridge friends, a visit to The Carle in Amherst and The Amazing World of Dr Seuss in Springfield, and time with New Haven friends. Oh, and while we’re here let’s stop off at the Emily Dickinson home in Amherst and Walden Pond in Concord. It was crazy and I knew it would be and we did it anyway and - even though I’ll think twice about doing such a jam packed travel schedule with small kids again - it was a good trip. And I am immensely grateful for dear friends - old old friends and new old friends - who came along for the chaos. The Carle was abuzz for the celebration of the VHC. And Mr Carle himself was there giving a lecture though it was more raconteuring (is that a verb?) and I just keep thinking he must have SO many stories to tell. He was very clear about giving credit to his editor for her work on VHC so that appealed to the editor heart in me. The next morning I returned to the Carle to interview Megan Dowd Lambert, the author of Reading Picture Books with Children which I cannot recommend highly enough. 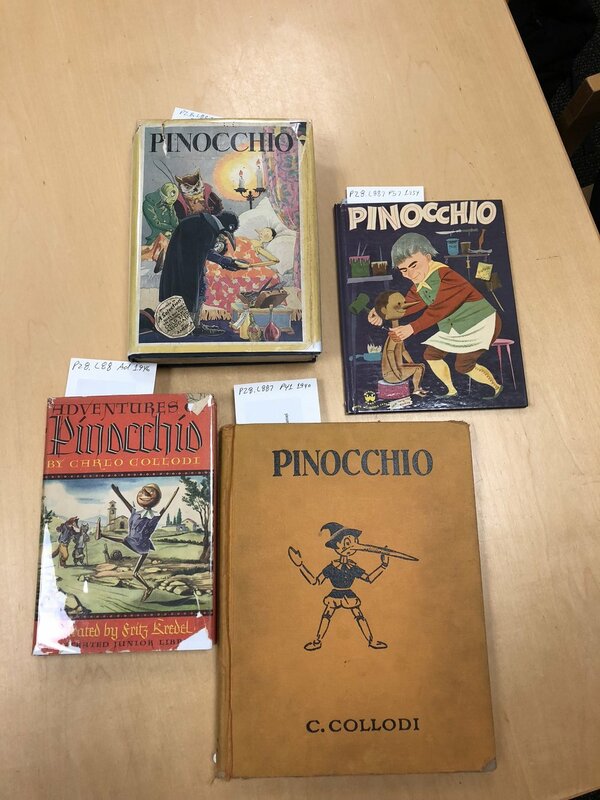 Not only was I having so much fun talking to Megan, I LOVED being in the BERL - the Barbara Elleman Research Library - which includes a wide range of volumes on children’s literature. I fixated on a small set of Pinocchios that I wanted to show my dad (whose first book was Pinocchio). I can only imagine what other treasures that library holds. Later that day we ventured to Springfield; I was mesmerized by some of the personal effects on display at The Amazing World of Dr Seuss. Theodore Geisel seems like the kind of person who couldn’t write a grocery list without being clever and quirky. Click here for a photo summary of our visit to that museum. And stay tuned for more from both places - in the podcast (launching in November! ).